ALPENHEAT heating elements have already been pre-installed in the front toe area of your *Gronell Tibet AS1 winter boots. To use the heating, charge the battery packs and insert one battery pack into each boot. Integrated heating for all-mountain comfort. 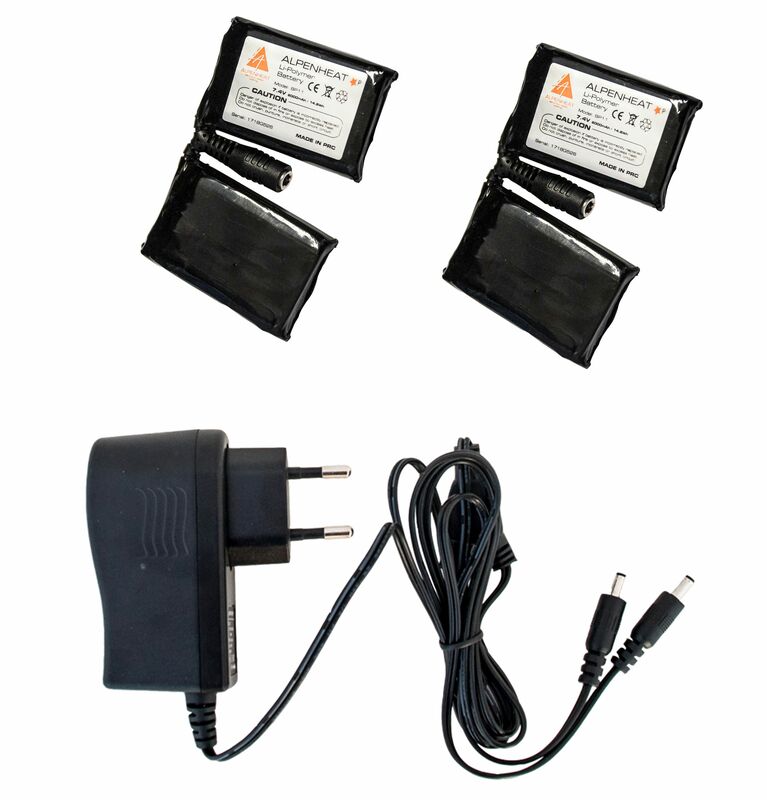 Set consists of 2 battery packs BP11 and 1 charger LG11 with Y cables to charge both battery packs at the same time.